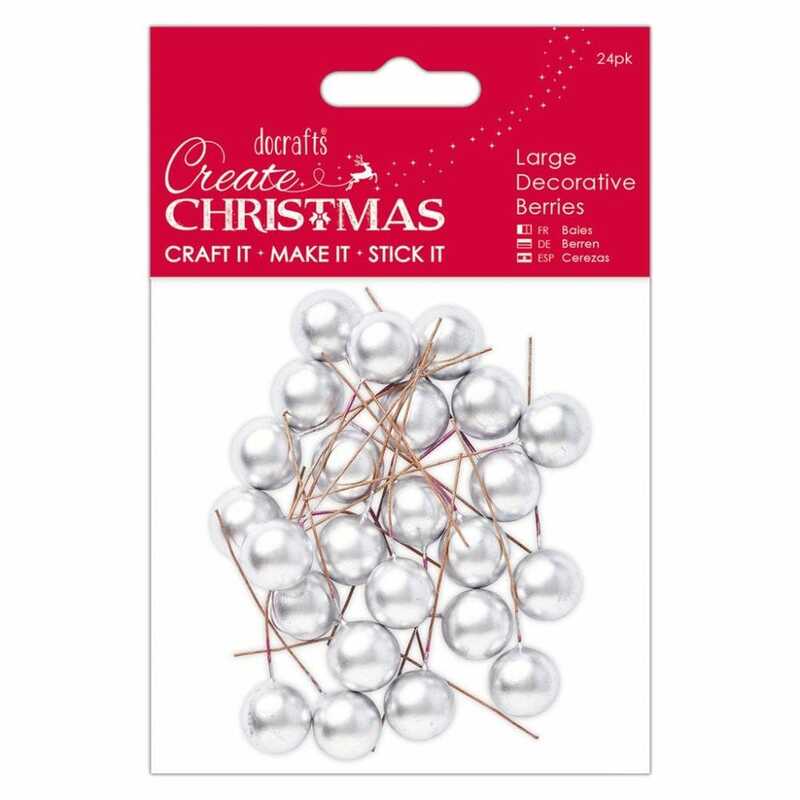 Add the perfect finishing touch to your Christmas Project with these Large Silver Berries. Simply use to embellish gifts, cards, scrapbook layouts or use on a home-made wreath for stunning results. 24 Berries included.